1. 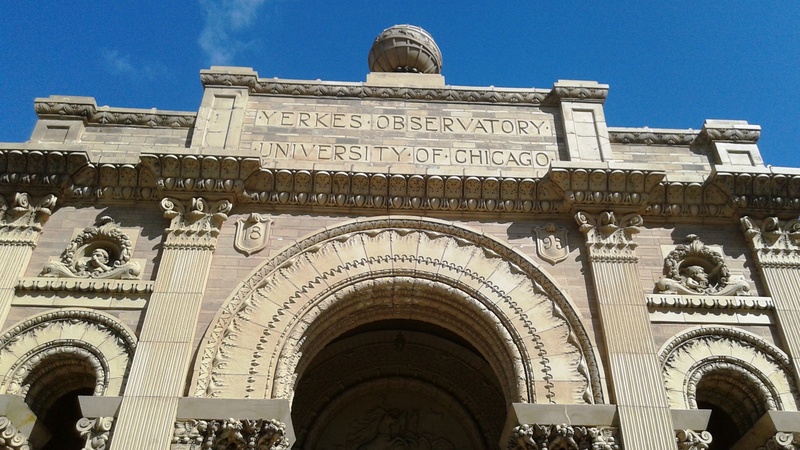 The Observatory was funded by a guy — Charles Yerkes — who made his second fortune in Chicago. 2. Mr. Yerkes, who lived quite the colorful life, was a pioneer in the development of Chicago’s rapid transit rail network. Loyal followers know that I am a real Chicago guy, and currently I use my public relations and communications skills to support research completed by a transportation research unit at a leading university here. So, it was quite fascinating to learn more about the Observatory, its benefactor and link to Chicago and Chicago transit. You can learn more about Yerkes from their website. But below are images taken Saturday while Susan and I joined some 40 others in a tour of this fascinating facility, part of the University of Chicago. Welcome to Yerkes! You can quickly ascertain that the architect was not a minimalist when it came to style and symbolism. 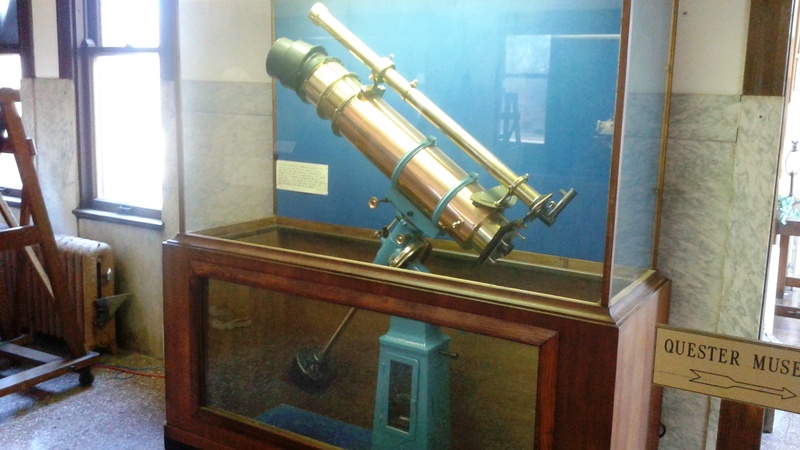 Yes, they have smaller telescopes here, too. 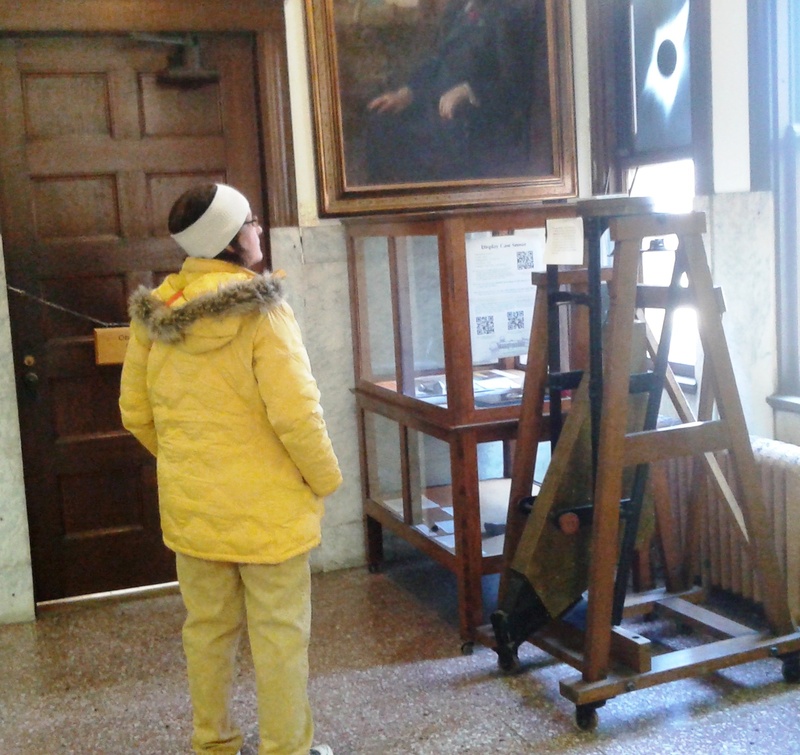 Susan touring the small museum, which includes art, artifacts and insight on the lives of the astronomers and their families. A view of the the Observatory from grounds behind the main entrance. Yerkes opened in 1897. 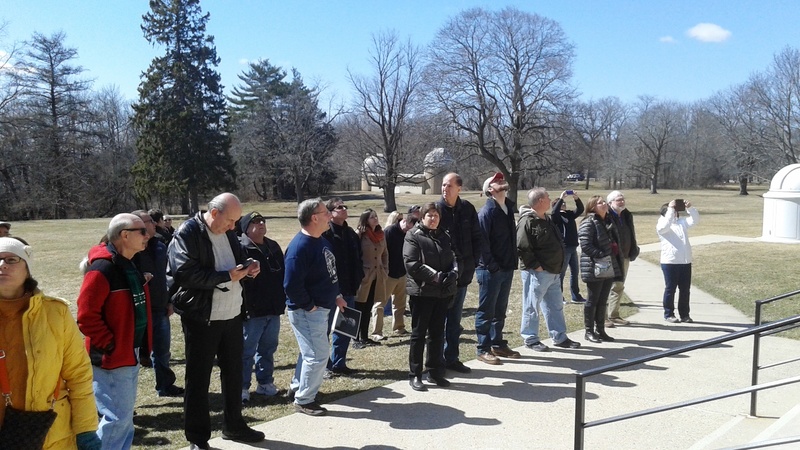 Our outstanding guide (man in blue sweatshirt) was passionate and the proverbial fountain of knowledge on Yerkes — the man and the Observatory. 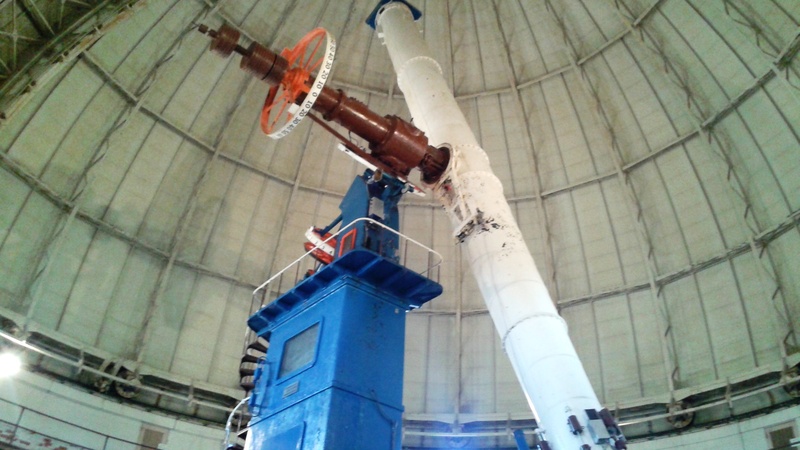 That’s one big telescope, for sure. And, it still works! If you look really close, you’ll see the Yerkes Observatory dome across the still frozen Geneva Lake in the town of Williams Bay. Some final personal thoughts: They don’t build ’em like this anymore, and more people should visit this great place, because there’s much more to the Lake Geneva area than water and resorts.